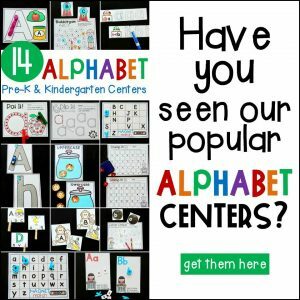 Back to school is such a busy season, and teachers everywhere have laminators working double time to prepare fun centers and activities for their new kids. 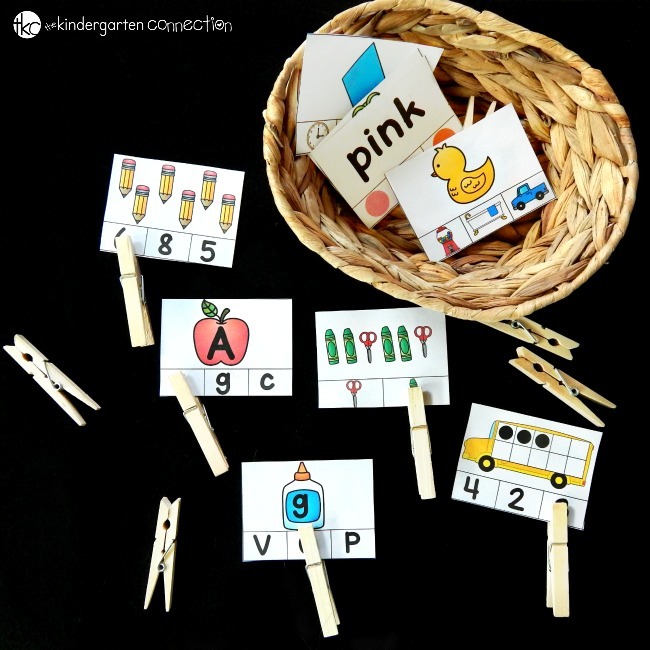 These Back to School Kindergarten Clip Cards for math and literacy are the perfect resource to have on hand for go-to centers that not only build skills, but fine motor too! You can grab the back to school set or the year long bundle in our shop! 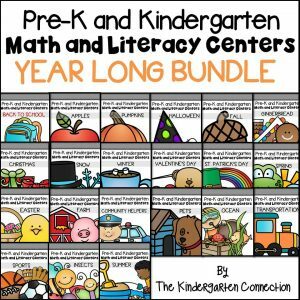 *We also have sets for Pre-K and 1st Grade! 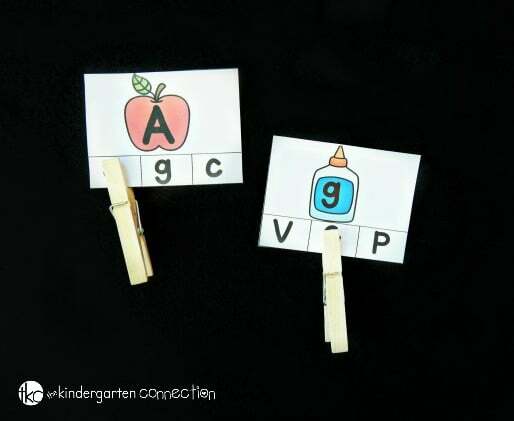 Using them in centers is easy – just print, laminate, cut, and add clothespins! 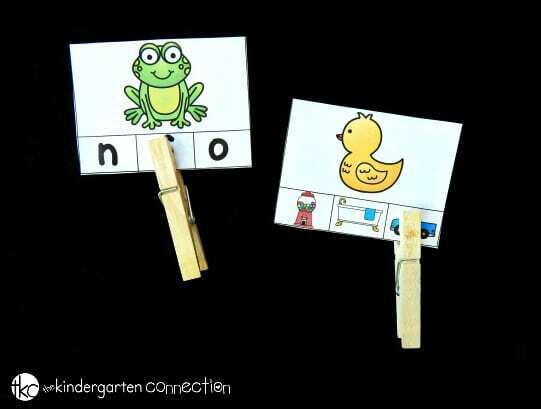 Kids grab a card and clip the correct answer. 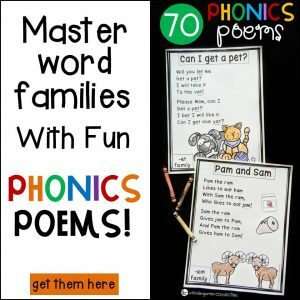 Some teachers also print the black and white versions as recording sheets or review pages for kids to complete with a writing tool. You can choose which cards kids work on in small groups or during centers to target specific skills, or mix them up for a review. Most cards have 3 choices for an answer, ensuring that there is a little more challenge than choosing between just 2, but not so many that it’s overwhelming for kids to complete. Did you know squeezing clothespins is great for building up finger strength, which can help with writing? 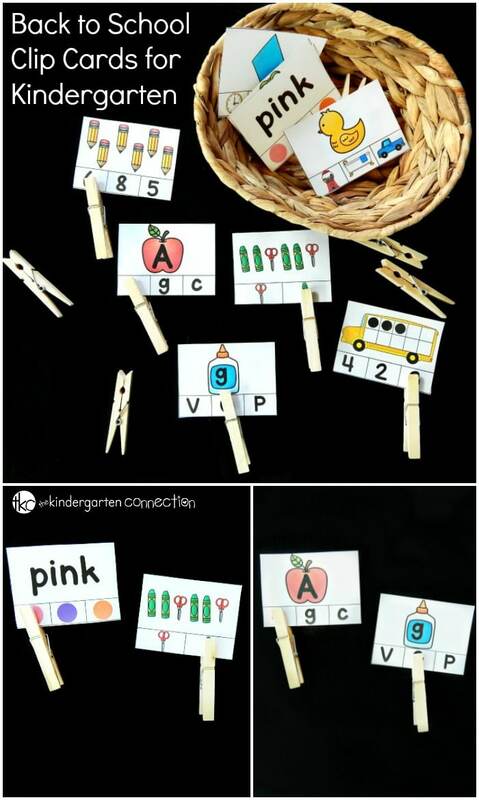 That’s another reason I adore clothespin cards so much! 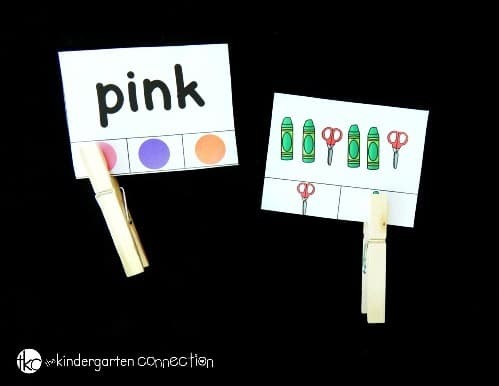 If you wish to make these cards self-correcting, print on cardstock (so they aren’t see-through) and mark the correct answer with a dot on the back of each card. Kids can clip, then check their work. 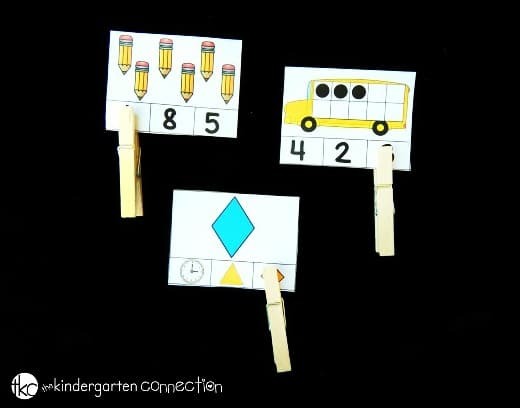 Ready for tons of clip card fun? 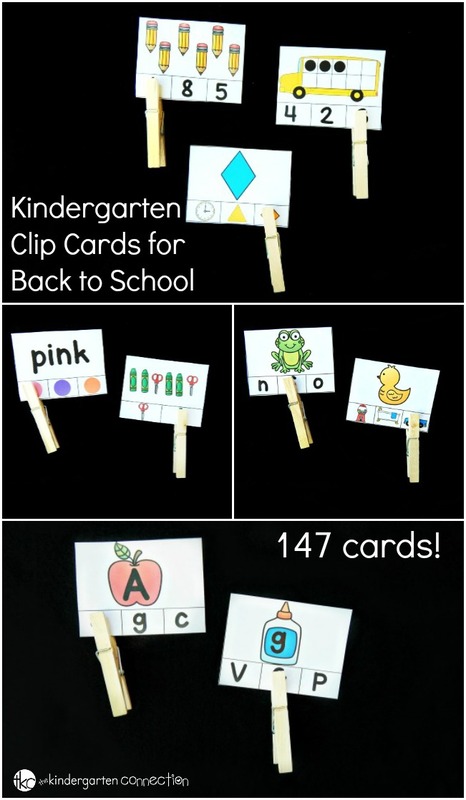 Grab your set of Back to School Clip Cards HERE. 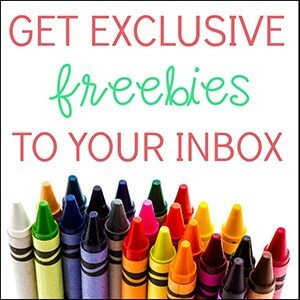 Or, save 20% when you buy them for the whole school year with the Clip Card Year Long Bundle.